The Annapolis and Avon Valley are home to several award winning wineries, distilleries, craft breweries and cider makers and Wildgrape Tours is a popular local tour company experienced in making your day a memorable one. To arrange a public or private tour contact them directly or simply add it to your booking when reserving accommodations at the Inn. Wine and libation tours include: round trip transportation, an intimate guided tour, tasting fee’s at all locations as well as a gourmet lunch at selected restaurants. Wildgrape Tours can seat up to 16 passengers in air conditioned comfort. Tours are available from mid May until the end of October. Discover the next level of taste with our Wildfeast dinners. Foraging Chef Nelson Penner focuses on local, in season, ingredients to create unique flavour profiles for your enjoyment . Wine pairings expertly paired by WineGrunt Wine Bar in Windsor. Six courses with wine pairings. Menus available upon request. This intimate tour is designed to satisfy your palette and enhance your appreciation for life’s small pleasures. Learn educational tidbits about our Annapolis Valley Wines and culture while viewing our stunning scenery. Our day starts in the early afternoon with visits to three award winning Wineries where you will sample Nova Scotia Sparkling, White, Rose, and medium body Red wines and learn the technique of winemaking from our local winemakers. Your friendly and knowledgable guide offers insightful commentary between wineries. 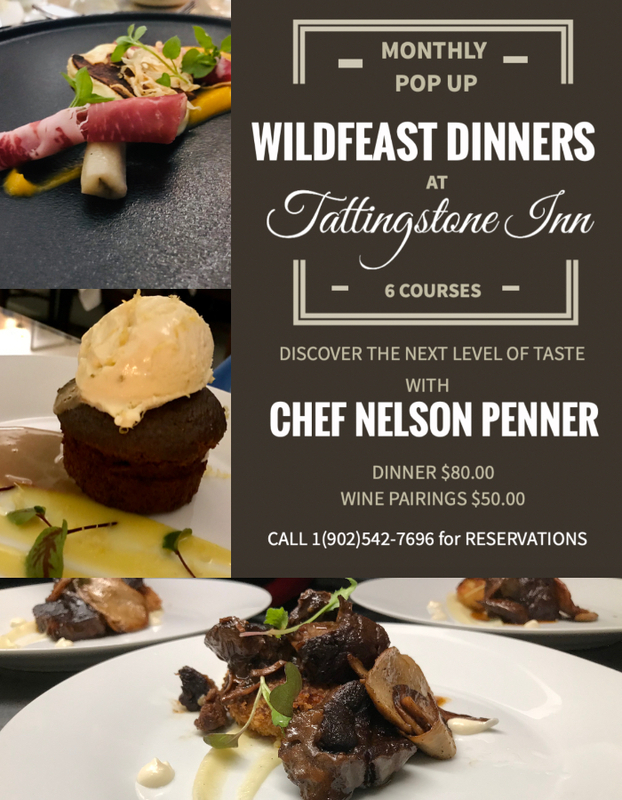 We finish the day with an intimate five course dinner, with wine pairings, prepared by Chef Nelson Penner of WildfeastNS and served at the “Chef’s Table” at the historic setting at Tattingstone Inn. Advance booking is required. Subject to availability. From: May through to October. If you’re a true wine lover, this wine tour is for you. We focus on four of nine Vineyards nestled in the Valley. 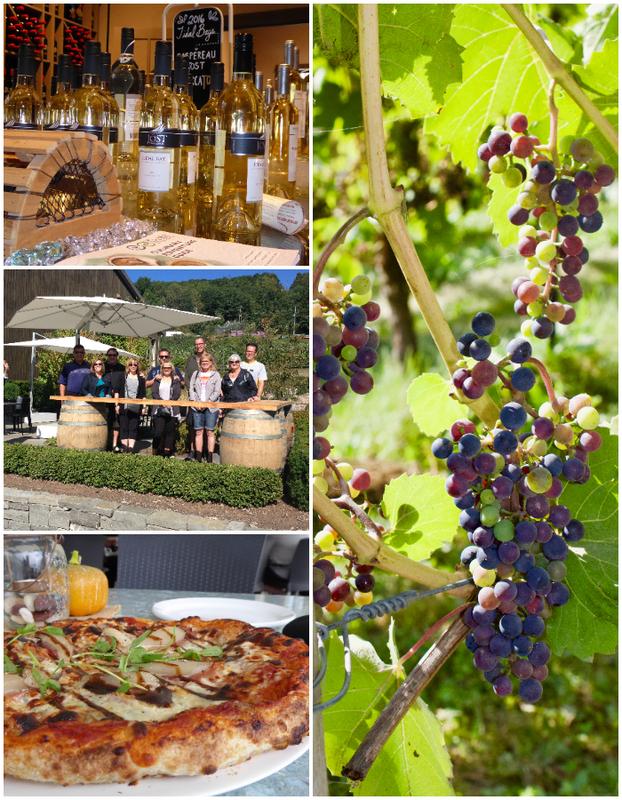 Included in your tour is a gourmet lunch at one of our popular local restaurants or a Vineyard depending on weather, followed by tastings of award winning sparkling wines, Roses, one of the many distinctive varieties of Tidal Bay, or a delicious medium body Red. 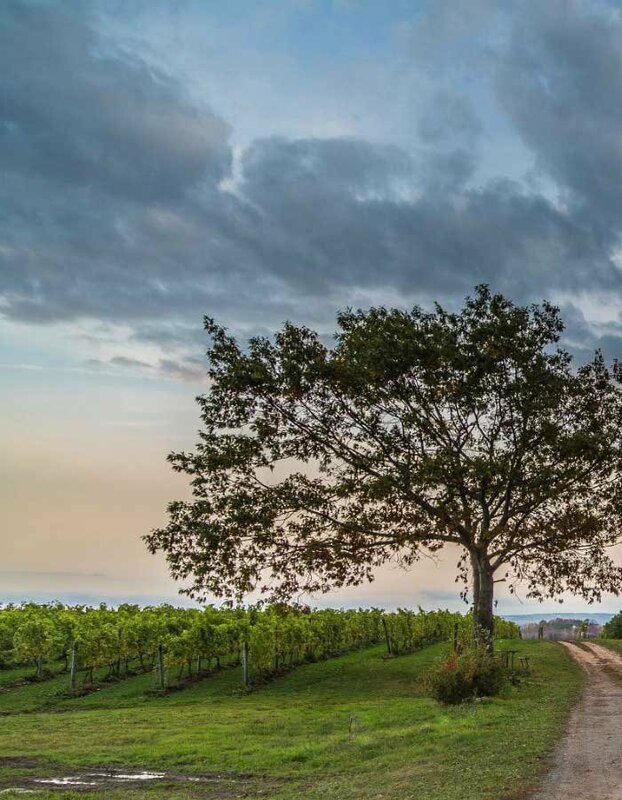 Wineries you may visit include Lightfoot and Wolfville, Domain de Grand Pre, Benjamin Bridge, Gaspereau Vineyards, Luckett Vineyards, Avondale Sky, Bent Ridge, Sainte Famille and L’Acadie Vineyards. Our immensely popular wine tours are intimate and light hearted. Be sure to test your guides knowledge of the Valley's wines, history and culture. ADD: $119.00 person plus HST. Subject to availability. Advance booking is recommended. Let your guide handle the driving and relax as you sip your way through The Annapolis Valley. Your day includes a visit to three local wineries for an interactive session where you will learn about the art and science of winemaking. 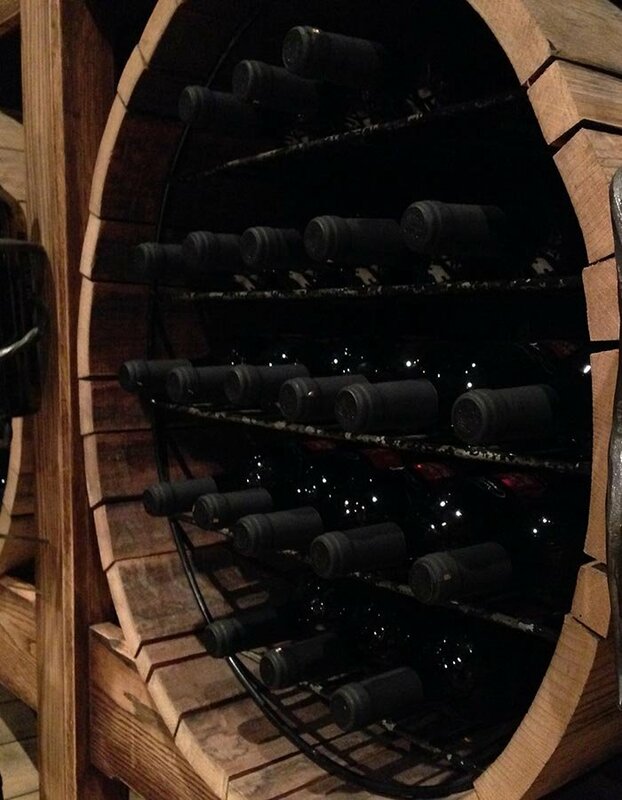 Look forward to a tasting in the winery or barrel room to sample some of the many wines made on site. 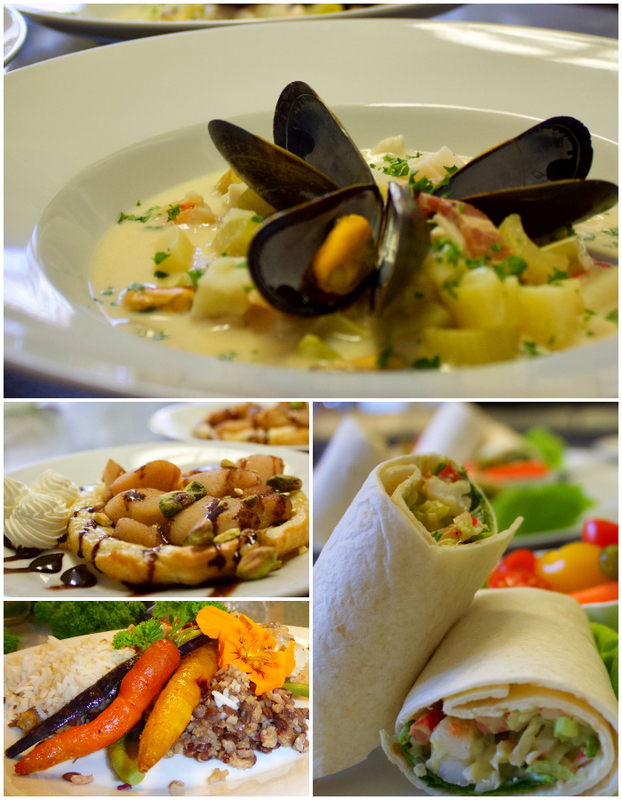 Along the route let us indulge your appetite with a stop for a gourmet lunch. The tour finishes at an award winning distillery for a tour and tasting of their famous spirits and fresh fruit liqueurs. Your tour guide is happy to share the history and culture of this wonderful region. ADD: $119.00 per person plus HST. Subject to availability. Advance booking is recommended. Join us for the day and visit some of our best Craft Breweries and Distilleries. 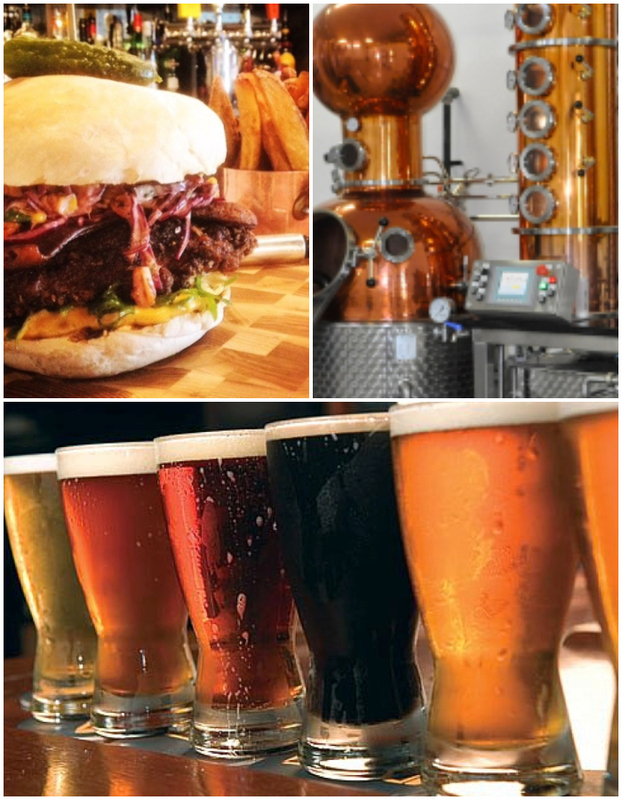 Your day includes stops at three Craft Breweries for a tasting flight at each, a gourmet burger lunch along the way and we’ll finish at an award winning Distillery for a tour and tasting of secret recipes guaranteed to rival those from the roaring 20's. For a more personalized experience create your own tour with your choice of 4 locations and a gourmet lunch. Tour and tastings are included. Reservations required with a 2 person minimum. Surprise and delight your partner! 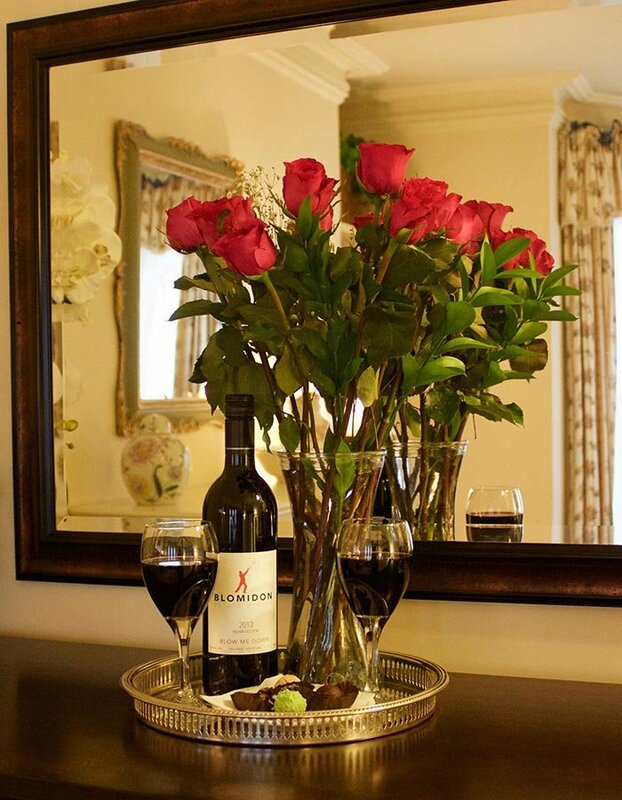 A very special bottle of wine will await your arrival to your room along with your choice of a bouquet of fresh flowers and a sweet plate of truffles or a charcuterie board and fresh chocolate dipped strawberries. Imagine settling into one of our luxurious guest rooms with a warm fire, and having a bottle of wine ready to help celebrate your occasion or excuse to relax. We will include a card written with your sentiments. ADD $75.00 plus HST to your room reservation. Whether it is a Christmas party, luncheon, 25th Anniversary or corporate meeting, we provide the perfect atmosphere for your event. Allow us to customize your menu and room layout to ensure your special day unfolds just as you imagined. We take pride in providing attentive friendly service and high attention to detail.